In the course of one week of August 2018 a fellowship, a Death Cafe, and a talk group at Lake Chapala, Mexico hosted events related to considerations for end-of-life. These events, intentionally or not, are part of the growing Death Positive movement around the world – places to share, plan, or think about what we want; to consider how we foresee our own passing; and to learn from others who openly share their experiences. Retiree ex-pats ages 50+ from Canada, Germany, the U.S., and the UK gathered at three different venues to hear or participate in interesting, lively, or poignant discussions about mortality. On a sunny lakeside morning, the fellowship hosted an inspirational, memorable service devoted to End-of-Life. Sandy Wallin was the service leader. The sermon, “What I Learned from Charlie,” was delivered by Lew Crippen. Hymns related to transitions – I’ll Fly Away ( performed on a recording by the Humbard family), plus One More Step, and Spirit of Life. The postlude was Handel’s The Trumpet Shall Sound. Crippen’s sharing was an endearing, sometimes funny, but definitely moving tale about how witnessing the dying of his beloved rescue cat taught him more about love and life. Service poetry included Mending Walls by Robert Frost, and the surprisingly amusing Let Me Die a Young Man’s Death (Roger McGough), beautifully read by Wallin. 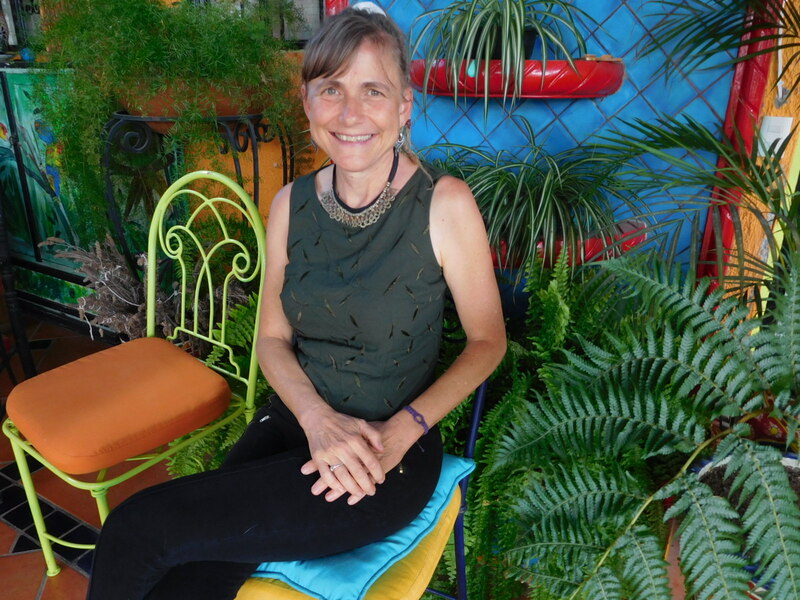 A group of American, Canadian, and German retirees and others recently gathered for the third Café Mortality Ajijic in Mexico August 2018. Thirty persons sat in an engaged way at six round tables and one rectangle table (added at the last minute) at Min Wah Restaurant. Conversation was uncommonly lively. Participants included a hospice chaplain (a new café volunteer), a hospice nurse, a hospice volunteer (a new café volunteer), three psychologists, a psychiatrist, one professor, one journalist, and others. Currently, there are three co-hosts sharing the duties – Debi Buckland, Wendy Jane Carrel, and Loretta Downs, each with 20+ years devoted to some or all aspects of end-of-life care, planning, and transitions. Each Cafe Mortality is introduced by one of the hosts. The August café was heralded by Loretta Downs who flew in from Chicago to lead. 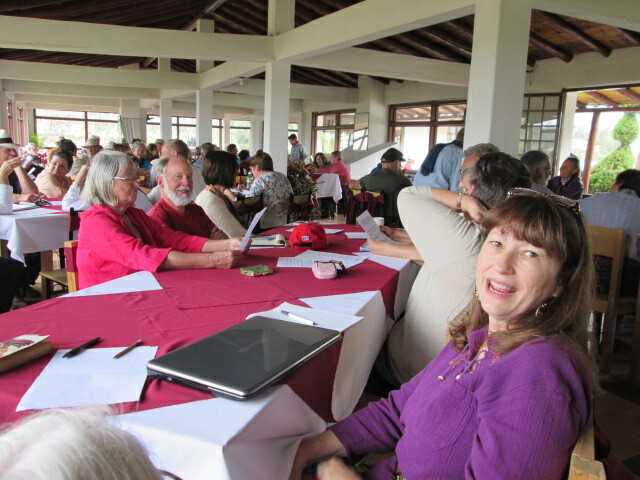 In the last few minutes, a representative from each table stood up to share with attendees interests and concerns discussed – how to die peacefully at home in Mexico, how to take one’s life legally in Mexico, how to die on your own terms in Mexico (have your wishes honored), and what happens in the afterlife. The next Cafe Mortality is scheduled for October 9, 2018. Please RSVP to wellnessshepherd@aol.com if you wish to attend. Note: the venue may change. David Acuff, PhD, talk show host, and author of 15 books, spoke to over 300 attendees at Open Circle Ajijic on Creation of the Afterlife: Perspectives of Different Cultures. He brought forth views from Native Americans, Australian aborigines, Judeo-Christians, Buddhists, and Hindus about what happens when we die. He interspersed his presentation with audience breaks asking those present to find a partner to ask questions with such as…Where are we going after our demise? As at Café Mortality, the audience was fully engaged with the subject, voices were animated and lively. In closing, Acuff offered a new view of afterlife suggested from findings at tombs of the Nazca mummies in Peru. Perhaps, he shared, there is evidence we are not alone in the world. According to DNA research in the spring of this year, mummies from 300 A.D. and 1400 A.D. had three fingers on each hand and were not homo sapiens. Maybe we do go somewhere else, time travel, or reincarnate… all food for thought. 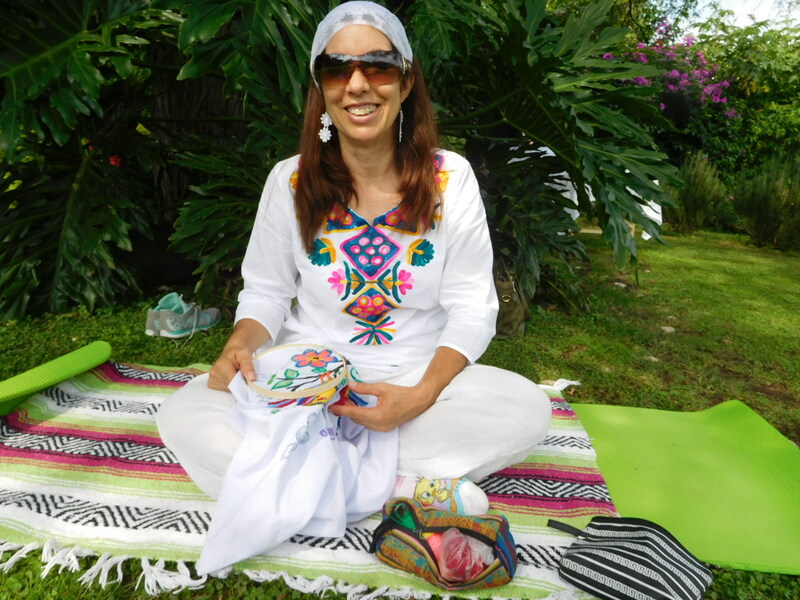 On Saturday, August 19, 2017, social worker/psychotherapist Toni Rahman, originally from Missouri, produced a Pop-Up Clinic to introduce alternative healing practitioners to each other at a Lake Chapala, Mexico refuge. After a sage “cleansing” and blessing by Toltec shamanic student and host Craig Shanholtzer, nine persons introduced themselves and the work they do. An additional seven friends who support healing solutions came to learn and experience what the nine offer, and, to help get the word out to the community-at-large about resources at the lake. It was a beautiful day spent on an inviting porch, in a splendid garden, or in quiet rooms either giving or receiving. “Magical”, “relaxing”, “wonderful” are the comments I heard. The next Lake Chapala Pop-Up Healing Clinic is scheduled for Saturday, September 23. The time and place will be announced on bulletin boards and in periodicals around Lake Chapala as well as on the sana-clinica.com web site sited below. Not long ago I addressed a group of Canadians and Americans at an Open Circle chat at the Lake Chapala Society in Ajijic, Mexico. Most of the attendees were full-time residents with the lay of the land, but curious newcomers attended as well. The most meaningful part of the presentation? Introducing American and Mexican senior living owners to the audience. After the chat they were able to become acquainted with one another. In the photo below, four Mexican registered nurse owners are represented. I am the person holding the microphone. If you cannot afford healthcare or retirement in Canada or the U.S., what are your options? Where do you look? For the last five decades, and especially since the U.S. economic challenges that became apparent in 2007-2008, retirees have been choosing destinations in Asia, Europe, and Latin America. Despite news about crime and drug cartels, Mexico reigns as the number one choice for most American and Canadians, primarily because of its lower costs, warmer weather, health care choices, and location so close to home. According to U.S. Consulates in Mexico there is a current count of between 1.2 – 1.4 million Americans living in Baja California, Cancun, Lake Chapala, Mazatlan, Puerto Vallarta, San Miguel Allende, and other areas. (The number also includes Americans who are not retired). According to the Canadian Consulate in Guadalajara and the Canadians Abroad Registry, approximately 10,000 Canadians are registered in high season and 1,500 are registered as retired full time in Mexico. Not all Canadians register. Currently, at Lake Chapala, Mexico there are in the neighborhood of 20,000 retired Americans and Canadians. North shore Lake Chapala, which includes the communities of Ajijic, Chapala, Jocotepec, San Antonio, and San Juan Cosala (40 minutes drive time from one end of north shore to the other), has several options for senior living with others being planned. What is different from Canada and the U.S. is the cost of living, especially for health care, often up to two-thirds less. 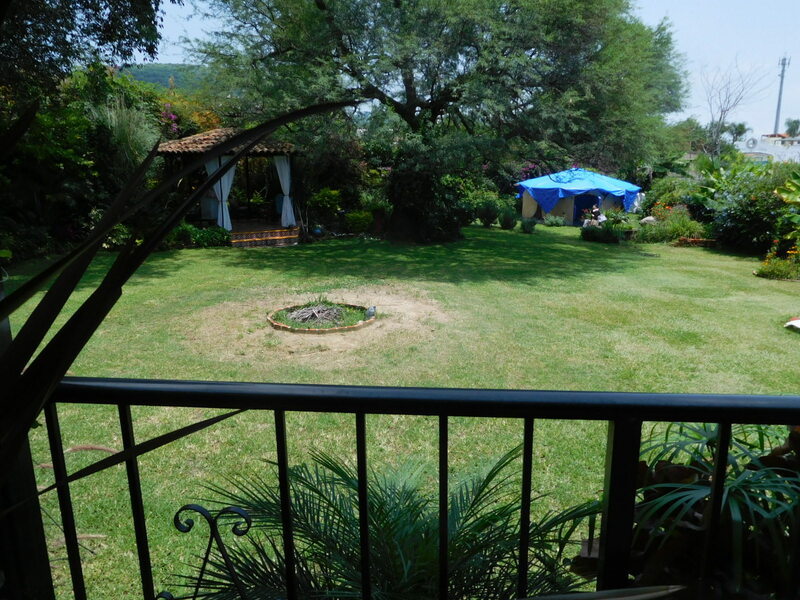 What is also different is that there are no Life Planning (continuing care) models at Lake Chapala. A project was planned three years ago and has yet to be built. There is one, however, that will open in Mexico City sometime this fall. Another difference is that in Canada and the U.S. Alzheimer’s and dementia patients are in separate areas on a campus. In most of Mexico, dementia patients are living and sharing the same space with older adults who have mobility issues, not dementia issues, and the care is rarely specialized. Mexican senior homes are under the purview of the Ministry of Public Health and local fire departments. They are not tightly regulated and inspected as they are in Canada and the U.S.
What is available at Lake Chapala now? Three co-housing/independent living options – one in Ajijic with three individual apartments and five casitas, a pool, lakeside views, and two meals a day; one in Riberas del Pilar on two levels where residents have their own apartment, are provided with two meals a day, and have access to a library, a gym, and a pool; and one in San Juan Cosala, focusing on health, green living, and sustainability. At the first two if you become immobile or develop serious health issues you would need to move. 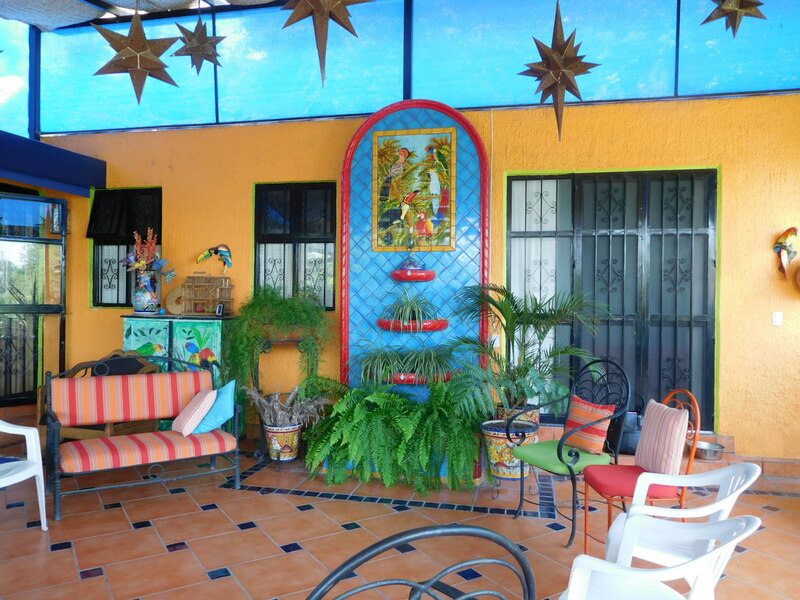 At the property in San Juan Cosala (in development) you can invite caregivers to your living quarters. Three assisted living homes specializing in Alzheimer’s and dementia care – one is run by a geriatrician and a nurse, the other two by nurses with doctors on call. One of these homes plans to add a second home in the near future for a total of four dedicated Alzheimer’s care homes at the lake to meet the growing need. Six homes combine assisted living, nursing and some rehabilitation. That number climbs to seven if you include two rooms above the offices of a physician in Ajijic (no rehab), and 9 if you include one owner who has three homes (no rehab). It climbs to 10 choices with an American-owned recovery care center for plastic surgery (more like a B & B) where you can also rent suites. The recovery center has been in existence for almost 20 years. The total number of choices reaches 11 if you include a low-income senior home in Chapala which also has Mexican residents. Four properties have owners who live on site. These properties are either American- or Canadian-owned, or, owned by English-speaking Mexicans who focus on serving the expat community. There usually is one person who speaks English at the senior living options at Lake Chapala. The above-mentioned places are private pay. Monthly costs for private pay assisted living at Lake Chapala range between $1,000 and $2,000 U.S. per month except for the home in Chapala. (The average U.S. private pay is $3200-$3500, and up to $12,000/month or more for Alzheimer’s care). Most care homes at the lake have 12 or fewer residents. Service is considered personalized. In many instances there is the quality of “carino,” caregivers treating you like a lovable member of the family. There are 125 senior living homes in the state of Jalisco, housing 1,723 elders. These numbers include only Mexican citizens. Not included are Americans and Canadians at Lake Chapala or in Puerto Vallarta. There are approximately 758,000 older adults in Jalisco state. In Guadalajara, an hour from Lake Chapala, there are three models of senior care – private pay, non-profit care primarily with nuns (usually excellent quality), and government care (usually DIF, a social services entity that exists throughout Mexico). Prices range from gratis for the indigent to around $400-$800 U.S. for those with pensions, and up to $3500 U.S. for private pay. Note: I have met Americans with incomes of $600 or less/month who are living comfortably and safely in Mexican assisted living homes throughout the country. 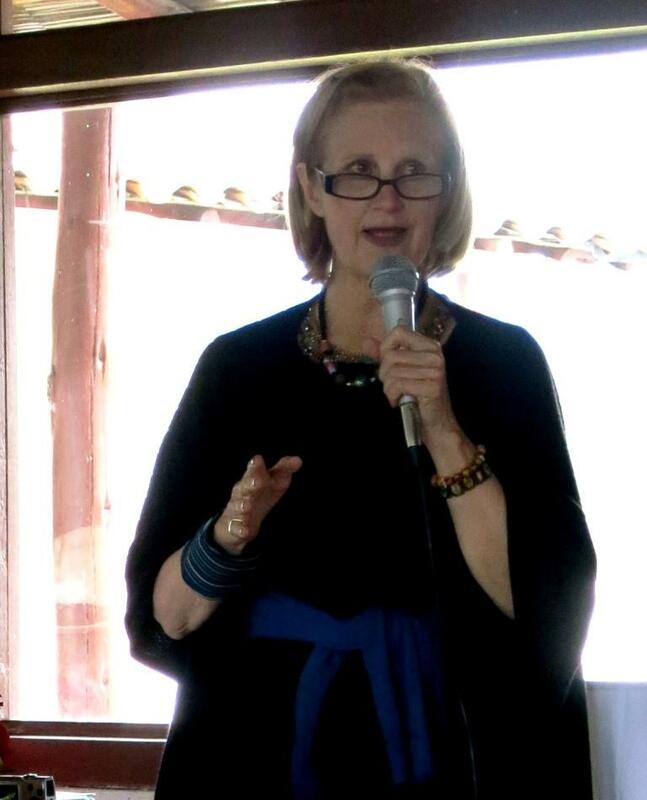 Dra Susana Lua Nava, a palliative care physician based in Guadalajara, Mexico, spoke to over 200 North Americans and locals at Open Circle on the Lake Chapala Society grounds in Ajijic, Mexico about pain relief for chronic conditions and end-of-life. Her passionate presentation about the unmet needs in Jalisco state and throughout the country triggered many questions from the audience, plus more interest in bringing such services to the lake. Lake Chapala is about an hour’s drive from Mexico’s second largest city Guadalajara. An estimated 20,000 North Americans reside there during high season. It is a goal of Dra Lua’s non-profit Juntos Contra el Dolor, A.C., (United Against Pain), http://www.juntoscontraeldolor.com, to educate communities throughout Mexico about what palliative care is, and show how to offer comfort care to those with life-limiting diseases. Ideally, there would be models for this care in each state. Currently, palliative care is primarily found in three large cities at regional hospitals – Guadalajara, Mexico City, and Monterrey. In 2009 the Ministry of Public Health of Mexico established guidelines for palliative care entitling all residents of the nation to relief from pain. The challenge has been that most people do not know exactly what palliative care is, nor where to find it. Palliative medicine is often confused with pain clinics which may offer medications but do not necessarily include a holistic support team for the patient and family members during such trying times. As of yet, there is no dedicated palliative care/hospice team – physicians, nurses, psychologists, social workers, clergy, and volunteers working together at Lake Chapala. 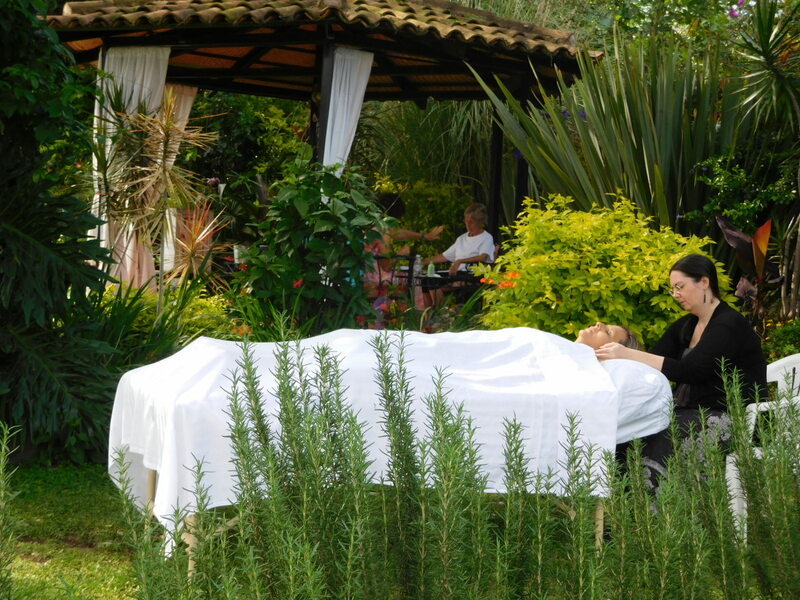 There have been previous efforts to establish a hospice. (The main cities at the lake are Ajijic, Chapala, San Juan Cosala, and Jocotopec. It takes around 40 minutes to drive from Chapala on the east end to Jocotopec on the western end). There are a number of highly talented retired palliative care and hospice administrators, physicians, nurses, clergy, social workers, and others from Canada, the U.S., South Africa, and other countries at the lake. Several groups have formed to discuss how to establish a service that can serve all populations and will endure. I performed a Cliff Notes version of Dr. Lua’s talk as there was much to cover in a short amount of time. A week after the presentation to North Americans, Dr. Lua gave a public health talk on the same subject to local Mexicans at the Ajijic Cultural Center. 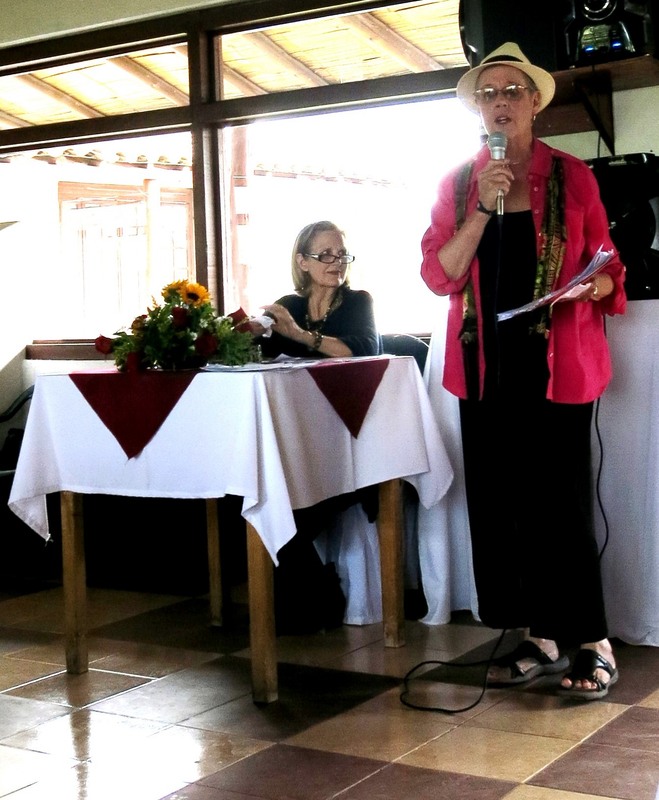 On June 7, 2015 I had the pleasure of speaking to the Cotacachi Health Chapters group at Gran Hotel Primitivo about End-of-Life Planning for Norte Americanos. (Cotacachi is a charming Andean city 2 1/2 hours from Quito). My hosts were community organizer Caroline Goering – a true delight – and a team of other amazing, supportive people – Dan and Janda Grove, Mike and Linda Munhall, and Bill and Ann Henry. What to do in case of a health emergency, especially if you don’t speak Spanish, is their focus. We discussed physicians, who to call and why, transportation, the importance of having end-of-life documents prepared, attorneys and notaries, cremation options, and disposition of remains to North America. Fortunately, bi-lingual nurse practitioner Mary Grover, a former Peace Corps volunteer, can be of service to the estimated 200 expats in the area. I introduced Mary to those who had not met her. A special thanks to CHC for the invitation. I was exhausted by the time I arrived, but content to meet a group that understands the importance of planning ahead, just in case, when living abroad.